Here at The Yellin Center we don’t just work with learners in the K-12 demographic. We do a lot with adult learners who are currently in college, professional school (especially medical students as part of our work with New York University School of Medicine) and even working professionals. We help develop learning plans that will help them to succeed in their higher academic and professional lives. We assist by linking them to resources and developing the strong learning strategies they need to excel in their chosen field. However, outside of the brick and mortar structure of traditional education, it can be hard for mature learners to figure out how to master the important professional skills they need to get ahead in the workforce. DIY Professional development is the new buzzword in adult education, and aims to allow learners to take control of their learning on their own time. EdCamps, whose target audience is often teachers, are springing up to teach valuable skills. There are also a wealth of MOOCs (Massive Online Open Course), such as those by edX or Coursera, available from many universities and professional organizations that span disciplines. If you are looking to build technical skills you can take part in a coding boot camp or self-teach through online learning platforms, such as Code Academy or Khan. If you are looking to brush up your language skills you can take a free course with Duolingo. Peer-to-Peer learning environments, such as Skillshare, are also gaining traction, which allow trained professionals to share their skill set with eager learners. The 21st century online learning format is empowering learners to determine what they need to master, and tailor how and when to learn it so that it integrates with their busy lives. One of my favorite resources out there is Lynda.com, a website that uses a flipped classroom model and video modeling to teach and train professional learners. 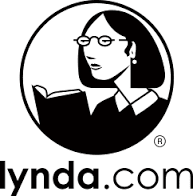 According to their website, Lynda.com helps members “stay ahead of software updates, pick up brand-new skills, switch careers, land promotions, and explore new hobbies.” Lynda.com houses a vast, ever growing course catalog that spans topics from tech skills to creative design to business acumen. Since it is a cloud-based library, courses can be accessed 24/7 from any device, providing learners with the flexibility to learn on their own schedule. Each course is taught by recognized industry experts who work in the fields they are teaching about, so you know the content is up to date and relevant. I particularly find being able to take training notes a very valuable asset. Several White Papers have been published that explore the research and merits and benefits of learning with Lynda.com. Learning isn’t restricted to the classroom anymore. With an internet connection and mobile devices you can access skills training for nearly any skill set from any location.